Even if you have little money to spend, it is nice to travel for a few days. But even if you find cheap flights, a holiday can quickly become more expensive than expected! 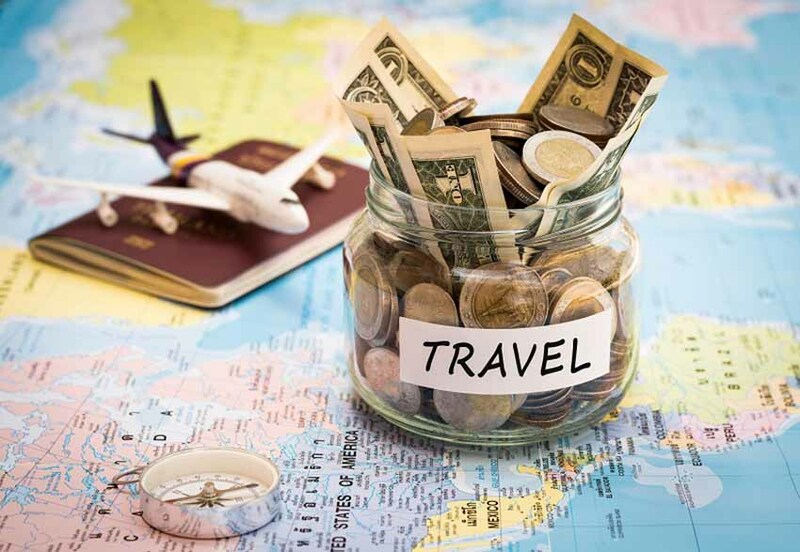 Saving Money is Also the art, and saving money while travelling is equally difficult. That is why we give you five tips on how you can saving money during the holidays. Have you booked a cheap flight? Then carefully read the baggage conditions! Cheap airlines such as Ryanair and EasyJet often have strict rules for the size and weight of hand baggage and charge extra for excess baggage. Withdrawing money or debiting outside the eurozone often involves costs. Most banks charge transaction costs and a price surcharge, and sometimes the cash machine adds an extra amount. This amount must always be mentioned on the machine, so pay attention to this before your pint! ATMs in the US are especially notorious for the extra costs, but you can bypass them by cashing in the store and asking for ‘cashback’. A foreign machine will often ask if you want to pay in the local currency or in euros, where the local currency is always more favourable. An alternative method of payment is with a prepaid card such as Revolution: here you deposit money from your bank account via an app on your phone, after which you can withdraw in 150 different currencies without extra costs. Tickets for events and outings can be expensive, but there are tricks to save money. Want to see your favourite footballer in action? Matches between two big clubs are very popular (and therefore expensive), but if a club plays at a lower division, tickets are often affordable to fill the stands. When you walk through the centre of a tourist town, you often see terraces of restaurants everywhere, sometimes with waiters who immediately put a menu in their hands. These crowded locations do come with a price tag! If you walk into a side street, it probably will not take long before you find a restaurant for the locals – if it is full here, then the food is good and cheap! This also applies to drinks. If, for example, you order a latte in Lisbon, you will soon pay three times as much as for a ‘cafe com leite’. Local wines are usually also cheaper and of surprisingly good quality. There are several alternatives for expensive hotel rooms. You are probably already familiar with Airbnb, where you can, for example, rent a room (or even an entire house) from a local.